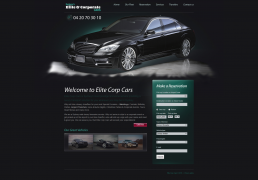 Redesign an outdated website for a Sydney based limousine company. 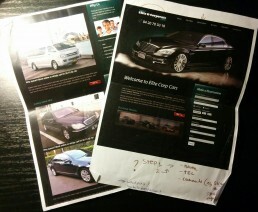 Initially client just wanted a mobile version of the site. 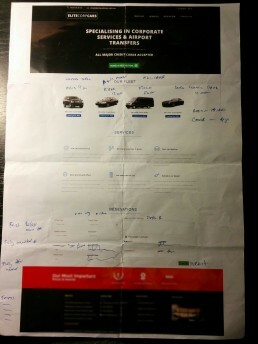 It was later agreed that a better and more cost effective solution was to start from scratch. 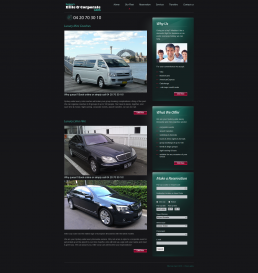 A one-page Wordpress website, with the booking form as it’s major aspect. We used a Visual Composer plugin for quick and easy future updates. 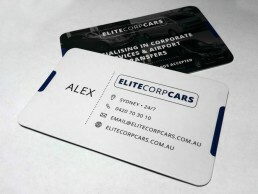 Business cards go hand in hand with the new website. The client didn’t have or need a logo, but we just had to do something. So, we threw together something quick and simple, which suits the name and fits better with their client base. Raised UV Spot. It’s like UV-spot on steroids. 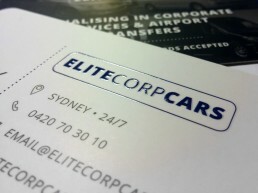 Elite Corp Cars is Sydney’s most prestige limousine service providing a luxury transport solution for you wherever you may be in Sydney. They required a new website and business cards.